This series is when I get a bunch of draft posts left in the background and I feel compelled to clean them out. And by clean them out, I mean talk about what my point was when I was thinking of writing it, whether or not it’s worth continuing the thought (or not) and why, and the delete it, complete it, or leave it on the back-burner for a future date. So far in the series I have only parked one post to redo in the future and I actually want to adopt it as a pet project. But that is a post for another day. I continue to have an odd fascination with the WoW token. I understand true markets and how market forces work but continued to be confused and curious with The WoW token itself. I can’t understand what is driving the price changes. I even have a Token price tracker on my phone. Here is the history of the WoW Token by all time price. The funny part is the WoW token is currently at 130,000 gold(ish) down from a high of 241,000 earlier in the year. The reason why I struggle with the token in general is that because it is not regulated, there is no impetus on Blizzard to bow to true market demand / forces. They can unilaterally set the price at whatever they want, and can just create supply from thin air as need be – so I am extremely sceptical of the validity of the price and how player choice and decision can impact that. Due to the fact they have monetary value, am I incorrect? Do they have to stick to a standards as set out by the Stock market in the USA? Is there a resource on this so I can take off my tin hat and see there is some legitimacy to it? Of course, due to the date and the prices I was talking about I am going to let this post plunge like the DOW and NASDAQ will do in 2019. Continuing my poor draft post design this was another little title that I think I know the idea behind the title, albeit completely misguided. And little text to support it. The Destiny 2 PC Launch happened and the internet is breaking. Not because of how awesome the game is, but because apparently many people are getting banned, permanently, for “no apparent reason”. This post was subsequently solved to the tune of not admitting what was doing it but I always wish that companies would call out the people who do lie on these. There have been some cases in the past where devs have done just that, and showing who is banned and why is a great step to be transparent with the community and to also build a support network around the company for when they do ban. Everyone likes bans, except the person being banned. And, I am one of those people what would err on the side of the ban being more likely to give a false positive (with a system to correct and identify quickly) than to have a system that is too lax and lets cheaters through the gates. Recently in a Battlefield 5 game there was a guy clearly using a wallhack glitch as he was 76-0 before people found out that he was shooting through walls in a very safe place. Destiny 2 is still the only game I want to play that I can’t due to how terrible the premise/story is that it is on principal now. Banning this post, and telling the world. Not sure if I need to say much else. I still don’t. Meta-critic is broken as a place for people to review bomb. It’s too bad we don’t have a place to decide on whether or not to take a chance on a game… it’s the opposite of Flixster in many ways – which seems to work – as fun and blockbustery movies often get panned by the critics but fawned over by the public – and I always trust the user rating on those ones. For some reason gamers are unable to divorce a game from the social issues they may or may not feel is represented / not represented (blah blah blah). Judge a game by the game, enough already. I think I did a post about this already, so giving this post a 0/10 for it’s SJW stance. One of the really fun things about Warframe is that your main character can control so many different kinds of Warframes that it is a very “alt-friendly” game. Since I was really enjoying the game I started doing a Show and Tell series about my favourite frames. Here is what I wrote about Limbo. Limbo is the gentleman Warframe. It has to be true, because, well, a top hat! From my understanding he is also the only Warframe that has interchangeable hats as an option. You do need to look good while you kill, right? Limbo is a quest frame – you get him by completing a quest chain (but still need to build). I had a very strange run with Limbo leveling him – I went from complete confusion, to mild frustration, to a degree of joy in sorting through his playstyle and abilities. He is definitely Warframe that proves Digital Extremes is not afraid to try new and interesting things with their mechanics. Those mechanics, however, make gameplay a very intriguing option with overall frustration for non-grouped players – or players unfamiliar with the mechanics. Here is his reveal video, to high level the concept before I go into greater depth. The Rift mechanic is fun. Hitting a single key can remove myself from danger – but I am still visible. This means that when I am in the rift enemies see me, and try to attack me, but they can’t hurt me. Limbo’s abilities push and pull friends and enemies into the rift (against their will) and that is where frustrating play can happen. Oh, you just unleashed your super damaging ability on the big bad boss? Sorry – I just banished them to the Rift so that damage is wasted. But here, let me put YOU into the rift with me and we can now 2v1 him since we can ignore all other enemies. I didn’t finish the post, or the series, but I still really loved playing his interesting Rift mechanic when I was a player. I’ll let this one rest as is as well. That cleans out any and all drafts I had from prior to 2018 – and as with my other posts on the subjects, it feels great to have it all cleaned up and can face 2019 with only 2018 drafts to fix. Which will come at a later date. Isn’t there some saying… cleanliness is next to bloginess? Something like that? Heh, I was just going through my drafts folder last night. I actually finished then queued up a couple of the silly ones to post in December. We’ll see how that goes. I too have a pile in draft, a couple dozen at least. I’m guessing I have another week or so until RDR2 is complete. 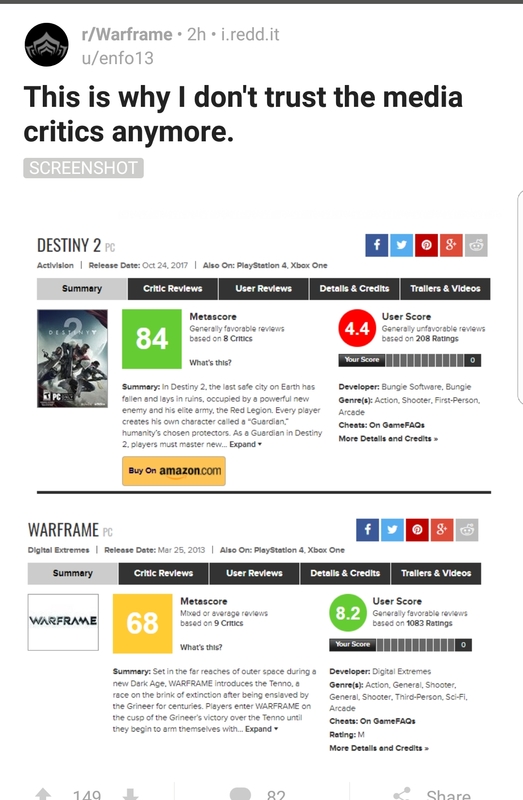 Warframe was honestly next up. Agreed there’s a learning curve back up again. Will try the new PoE season too. This reminds me that I made Limbo the other day and have not even gotten around to testing out his abilities yet. Been obsessing about getting Nidus built instead. It’s a lateral progression game though – getting caught up is not essential. Personally I’m barely past the first rank in Plains of Eidolon, let alone the Fortuna stuff. They’ll be there when I get around to them. This is fun, it’s like peering into the corners of your mind.